The Palestinian Center for Human Rights on Tuesday called for an impartial investigation into the killing of a Palestinian man by Israeli soldiers in Nablus this week. On Monday, Israeli soldiers shot and killed Alaa Muhammad Awad Audah, 30, at the Zaatara checkpoint in Nablus. 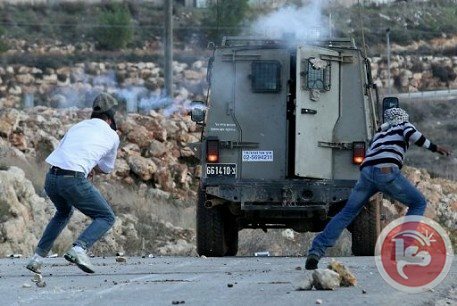 Israeli forces claim that the victim opened fire at them, injuring one of the soldiers. PCHR says there were no eyewitnesses in the area at the time to deny or confirm that claim. A taxi driver told PCHR that he drove Audah to Zaatara checkpoint from Huwwara village at around 11:30 p.m. to pick up an order of cell phones for his shop. The driver dropped Audah off and confirmed seeing him standing in a waiting area while driving back to Huwwara. At 2:45 a.m. the driver received a phone call from an Israeli intelligence officer who told him that he was coming to arrest him. Around 30 minutes later, Israeli soldiers raided his home and detained him. They took him to Audah's phone shop and questioned him about transporting the victim to the checkpoint. He only found out about Audah's death in the early morning when it was announced from the village mosque's loudspeakers. Audah left behind a wife and two children. "PCHR strongly condemns this new crime, which further proves the use of excessive force by Israeli forces against Palestinian civilians in disregard for the civilians' lives." The rights group said that it has documented dozens of crimes of "willful killings" by Israeli forces in which Israel claims Palestinians fired at them first. PCHR's investigations have refuted such claims. 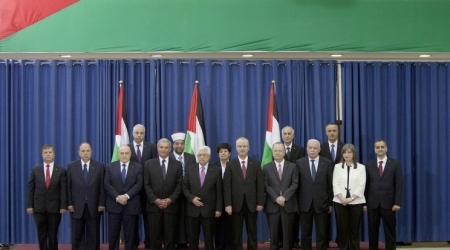 The government condemns the Israeli cabinet decision to boycott the Palestinian consensus government and to impose more punishments against the Palestinian people, considering it a stark intervention in the internal Palestinian affairs. The government expresses its determination to fulfill its duties according to the applied laws and legislations in addition to other missions including getting ready of the internal division effects, reuniting the Palestinian institutions, and reconstructing the Gaza Strip. Regarding keeping the ministry of detainees, the government assured that the Palestinian Liberation Organization is the sole organization that can take decision in this regard. The PM affirmed that the leadership will continue its effort to release the fourth batch of detainees, and stressed that no agreement shall be signed with Israel until all prisoners be released. The government calls the international human rights organizations to consider Palestinian detainees as "prisoners of war" and to exert more pressure on the Israeli occupation to put an end for its violations against the detainees including solitary condiment, medical negligence and inhuman treatment. The government also hails the struggling Palestinian detainees in the Israeli jails who have been on hunger strike for the 41th day in protest of administrative detention policy, and stresses its full support of their demands. The government denounces the daily and repeated attempts by Israeli forces and settlers to storm Al-Aqsa Mosque that reached an untenable situation. It called the Arab League, Islamic Cooperation Organization, international organizations and all influential bodies to put an end to those violations and attacks that are inconsistent with the international laws. The government sends its greetings and appreciation to the worshipers who maintained defending Al Aqsa Mosque calling them to continue protecting it and not to bow to Israeli pressure. The government expresses its condolence to the family of Ala'a Odaeh from Hiwarh town, who was killed with cool blood by the Israeli forces, affirming that these crimes prove to the whole world that Israel don’t want peace. The body of the slain Palestinian, who was killed by the Israeli soldiers on Monday, was handed to his family at the Awarta military roadblock, east of the northern West Bank city of Nablus. 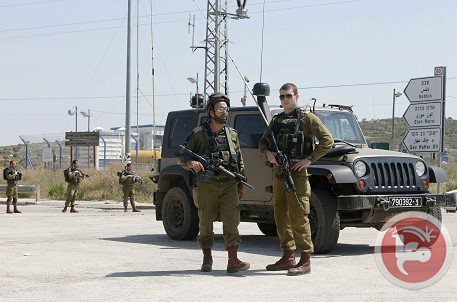 The Palestinian, ‘Ala Mohammad Odeh, 30 years of age, was killed late on Monday at the roadblock, and the army alleged he shot a soldier before the army killed him. Eyewitnesses said the soldiers left Odeh bleeding onto the ground, and refused to allow Palestinian medics from giving him the urgently needed medical attention. Following his death, the army took his body, and only handed it back to the family on Tuesday evening. Odeh’s body was then transported by a Red Crescent Ambulance to the Rafidia governmental hospital in Nablus, where hundreds of Palestinians gathered chanting against the ongoing Israeli military aggression. His funeral ceremony will be held on Wednesday. The family of slain the Palestinian man, who was shot and killed by Israeli military fire, late on Monday [June 2, 2014], denied, and strongly condemned, Israeli allegations that he was armed, and fired at the soldiers before he was gunned down. The victim, ‘Ala Mohammad Odeh, 30 years of age, is a married father of two children. He was shot at the Za’tara roadblock, south of the northern West Bank city of Nablus. 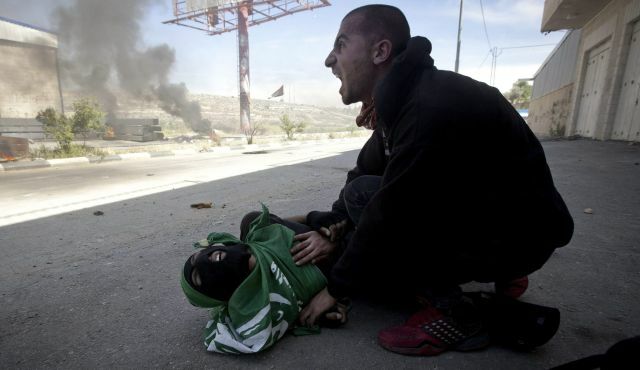 The army claimed Odeh shot an Israeli soldier, wounding him in the leg, before the soldiers shot him dead. 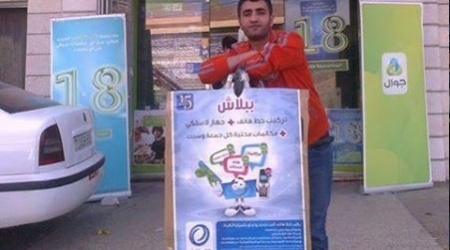 His family said that Odeh went to the roadblock to receive a shipment of cellphones for his store, and that he decided to cross the roadblock on foot to save time as the roadblock was jammed. He then asked the taxi driver, who transported him, to wait near the roadblock, and tried to cross it on foot, the Maan News Agency has reported. The army withheld Odeh’s body, and said would hand it back to the family later on. 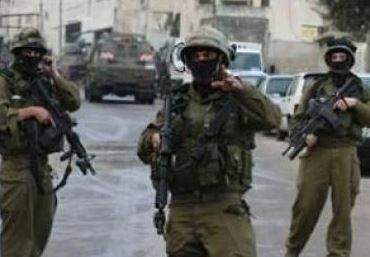 The Israeli occupation army said it killed late Monday night a Palestinian young man after he opened fire on soldiers at Za'tara checkpoint, south of Nablus city. It claimed that one Israeli soldier was lightly wounded in the shooting incident. Palestinian medical sources said the Israeli army cordoned off the area around the checkpoint and blocked Palestinian ambulances from reaching the scene, adding that the identity of the slain Palestinian is still unknown. Eyewitnesses told the Palestinian information center (PIC) that they saw exactly what happened and affirmed that the young man was unarmed and killed in cold blood by the Israeli soldiers at the checkpoint. They explained that the young man was standing behind a black car at the checkpoint when they heard an Israeli soldier shouting at him to stop, but suddenly they heard the sounds of two shots being fired at the victim without seeing him holding a gun or starting to shoot. They added that the two shots wounded the young men in his legs immediately and then he was showered with a hail of bullets while he was on the ground, reaffirming that they did not see any gun around his body. Israelis can no longer be indifferent to murderous acts, nor make use of the army and debase it to make murderousness the norm. What do you call a soldier who, from a range of 80 meters, shoots at two youngsters – not yet 18 – who are passing by? What do you call the soldier who took aim and fired? And what do you call the public from which that soldier came, a soldier who shoots people as though death were a knock-down target in a shooting gallery at a country fair? Who shoots people from such a long distance, nameless beneath his helmet, shooting at people with names who fall to the ground? They won’t be going to school anymore. Their mothers will never talk to them again. Their fathers will say nothing to them anymore. What do you call a soldier who shoots two teenagers who are passing by, dozens of meters from him, schoolbags in tow? Is he supposed to shoot, even if their heads are covered with the colors of Palestine? Even if they support the army’s expulsion from the territories? What do you call that soldier? You call him a coward. And the Israeli public – the same public from which people stand up to defend “David the Nahalawi,” the Israeli soldier who in April threatened to kill a Palestinian youth in Hebron and aimed his rifle into the youth’s face; the same public that watches a soldier named Effi promising Issa Amro in Hebron last month, “The first chance I get, I will shoot you,” this after a settler invaded Amro’s home and he asked for her to be removed – what is the right word for the Israeli public? The public who will not watch the video shot by Bilal Tamimi from Nabi Saleh, which documents Israel Defense Forces soldiers implementing the “mapping” procedure by waking up his children at night in order to photograph them, and to compare those images with film the army took during demonstrations? What do you call that public? What do you call a public that wants to hear from the defense minister that maybe it’s not true, that what they saw on the video shot in Beitunia on May 15 – when the two teenagers died during Nakba Day protests – never happened? That those who died did not really die. Or maybe they did die, but not in connection with us, that maybe it’s a show. What do you call a public that is unwilling to understand that what is shown in the film – shot by a security camera that offers no security – is murder? Assassination is not from the air, not with a bomb from the sky, but using a new method of collective indiscrimination. Shooting “toward.” Murder, for which there is no charge or trial, because they are others, not us. What do you call a public that watches an execution – the death penalty – and does not lower its gaze? That does not demand an immediate investigation. That does not cry out? Consider the concept of the: différent a situation, in which a person has no language in which to speak his complaint, because the court does not exist, does not speak his language. “A case of différent between two parties takes place when the ‘regulation’ of the conflict that opposes them is done in the idiom of one of the parties, while the wrong suffered by the other is not signified in that idiom,” Jean-François Lyotard wrote in “The Différend: Phrases in Dispute” (translation: Georges Van Den Abbeele). And now we have the film from Beitunia, which by its very existence establishes a court in which the Israeli society will be judged, as will its army, and as will each and every one of us. For the film shows, in a manner not susceptible to denial or deconstruction, that the other side too has the ability to speak, that the other side has testimony, and that its language is understandable to everyone. For how is it possible not to understand what one sees? By what language can it be denied? The public can no longer be indifferent to murderousness, nor any longer make use of the army and debase it to make murderousness the norm. 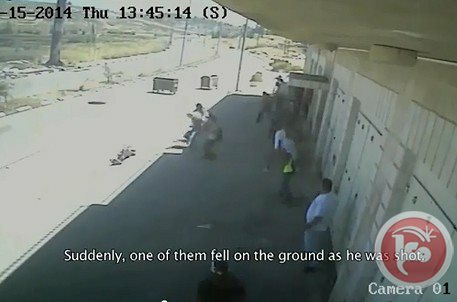 Today, everyone – particularly once it was known that the IDF investigated but did not say anything, or reached no conclusion – must ask what he himself did at that instant when we saw the two teenagers, Nadim Siam Nuwara, 17, and Muhammad Mahmoud Salameh, 16, fall to the ground, Dead or dying. Has the différend for each of us disappeared? Have we finally, all of us, grasped that something has happened? That Israelis will never be at home in the Land of Israel if the murder does not stop, if we do not stop it now. That what people like us are called is cowards. A Palestinian man died Tuesday after suffering from excessive tear gas inhalation days before, medical sources said. Samih Wahish, a 64-year-old physician from Abu Dis, was pronounced dead early Tuesday in al-Maqasid hospital in Jerusalem. Dr. Abdullah Abu Hilal told Ma'an that Wahish was in his house on Friday when Israeli troops showered the area with tear gas during clashes with Palestinians. He suffered from "serious asphyxia," but was unable to leave the house due to the clashes, Dr. Abu Hilal said. On Saturday, Wahish was having difficulty breathing and was taken to a medical center in Abu Dis. 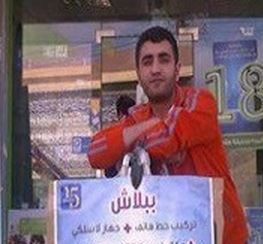 The next day he was transferred to al-Maqasid hospital's ICU, where he was pronounced dead Tuesday. Wahish had a history of lung disease in the past, Dr. Abu Hilal added. In April, medics said an elderly Palestinian woman from Aida refugee camp died after inhaling tear gas during clashes. A similar incident was reported in January, when an 85-year-old Palestinian man died in his own home after breathing in tear gas fired by Israeli security forces near Nablus. Young children, the elderly, and those with respiratory problems are particularly susceptible to the effects of tear gas, which can be potentially fatal. 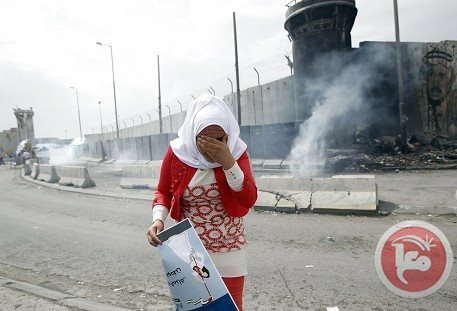 Israeli forces often fire excessive amounts of tear gas in civilian areas while dispersing demonstrations. A Jerusalemite doctor died on Tuesday few days after inhaling teargas fired by Israeli occupation forces (IOF) during confrontations in Abu Dis town, to the south east of occupied Jerusalem. Local sources said that the 64-year-old doctor, Samih Ohaish, was admitted into hospital a few days ago after inhaling the IOF-fired tear gas. They said that he never left hospital and died on Tuesday morning. A Turkish solidarity activist died on Friday of injuries he sustained during the Israeli attack on Turkish vessel Mavi Marmara in 2010, bringing the attack victims' number to 10 martyrs. 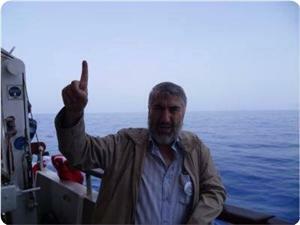 Ugur Soylemez, a 51-year-old member of the Free Gaza Flotilla, has died nearly four years after being critically injured by Israeli forces. He was in intensive care since then. A screenshot from video footage showing the killing of two Palestinian teenagers during a Nakba Day protest. Israel's military must open an independent, transparent investigation into the "unlawful" killing of two unarmed teenagers in the occupied West Bank last week, Amnesty International said Friday. On May 15, unarmed teenagers Nadeem Nawara, 17, and Mohammad Abu Daher, 16, were shot dead by Israeli soldiers outside Ofer military base. Video footage of the incident collected by Defense of Children International shows that the killings were "deliberate" and "unlawful," and the teenagers "were not posing any threat to the life of members of the Israeli forces or anyone else," Amnesty said this week. Saleh Hijazi, a campaigner at Amnesty International's Middle East and North Africa program, told Ma'an Friday that the killings were part of a pattern in which Israeli forces resort to "excessive violence" against Palestinians taking part in demonstrations in the West Bank. "We have found that in the vast majority of cases, Israeli forces, including border police, immediately resort to excessive force when faced with Palestinian protesters." In February, the group released a report entitled "Trigger-happy," which detailed that the "frequency" and "persistence" of excessive force against Palestinian protesters, and the impunity enjoyed by Israeli forces, suggested that arbitrary force was used as a "matter of policy." Since April 2011, Israel has adopted a policy that requires the Military Advocate General Corps to instruct military police to investigate every case where a Palestinian not taking part in hostilities is killed by Israeli forces. Israeli military police have since opened investigations into 24 Palestinians killed in 20 different incidents. Only one case has led to a conviction of wrongfully causing death. In Dec. 2013, Israel's MAG Corps closed an investigation into the death of Mustafa Tamimi, who was killed in 2011 after an Israeli soldier fired a tear-gas canister at him from point-blank range, claiming the soldier did not see him. Months earlier, Israel's army closed an investigation into the killing of Bassem Abu Rahmeh, 30, who died after being shot in the chest with a tear gas canister at close range, due to lack of evidence. Video footage captured the incident from three different angles. "Unless you have an independent and transparent investigation into these violations, you won't reach even a small level of accountability for the perpetrators," Hijazi told Ma'an. "An independent investigation means civilian oversight, not an army investigating itself." In response to last week's killings, Israel's army said that the video footage was "edited" and said an initial check revealed no live fire was used. "What they need to do instead of coming out with these statements is say: 'We have opened an investigation,'" Hijazi said. "What we would expect is for Israeli investigators to say that they welcome all available material and will open an independent and transparent investigation, keeping the families informed as to when it will be concluded, instead of these excuses." DCI-Palestine has said that it is happy to provide Israeli investigators with all the material they have collected, and there is likely more evidence the Israeli army could collect seeing as the incident took place near Ofer military jail, a highly secured area, Hijazi said. Israel's army has also not refuted the authenticity of the video footage, even if they disputed the way it was edited, he added. "Until now there has been a lack of independence and transparency (in investigations). Israel has a responsibility to make sure investigations are independent, they don't need to wait for someone to tell them or an international presence," Hijazi said. "As a state, they have the responsibility and capability to do it themselves." 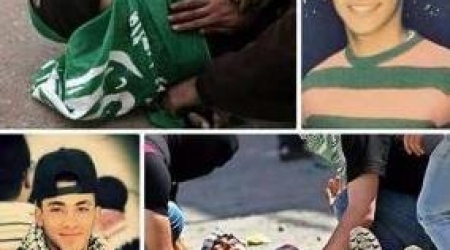 In 2013, 22 Palestinian civilians were killed in the occupied West Bank, at least 14 of them at protests. Most were young adults under the age of 25 and at least four were children.